Hello weekend warriors!! 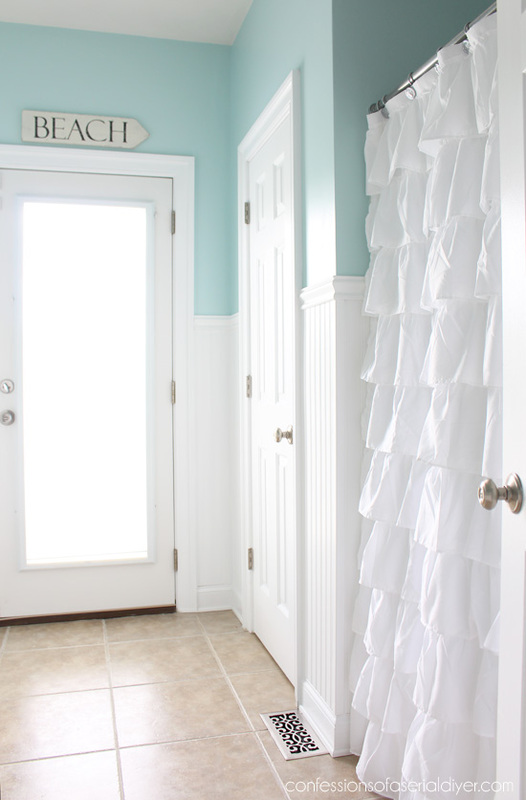 So you think you might want to tackle adding wainscoting to a room, eh? 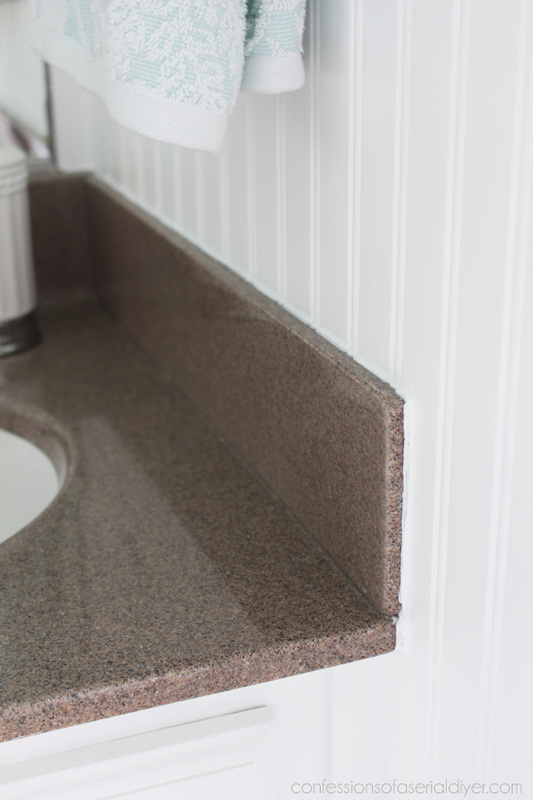 Today I am sharing how I added 48″ wainscoting to my guest bathroom. This is the first time I saw this bathroom and I was taking photos to remember it. 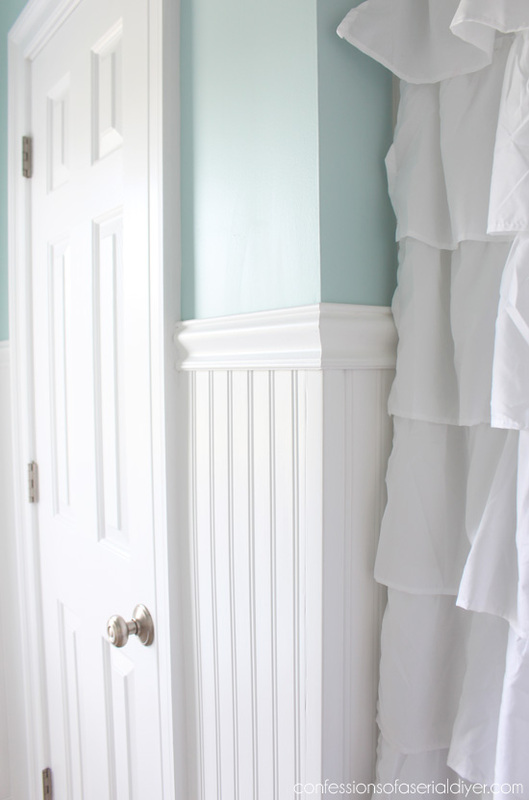 Adding wainscoting to the walls added so much charm to this space, and it can be done in a weekend or two. 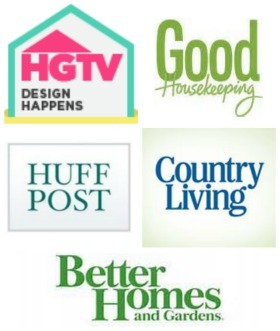 I have included a few affiliate links so you can find the products I used. First let’s talk about what you will need to complete this project. There are three 7″ wide sections in each package, so one package will cover a section 21″ wide. 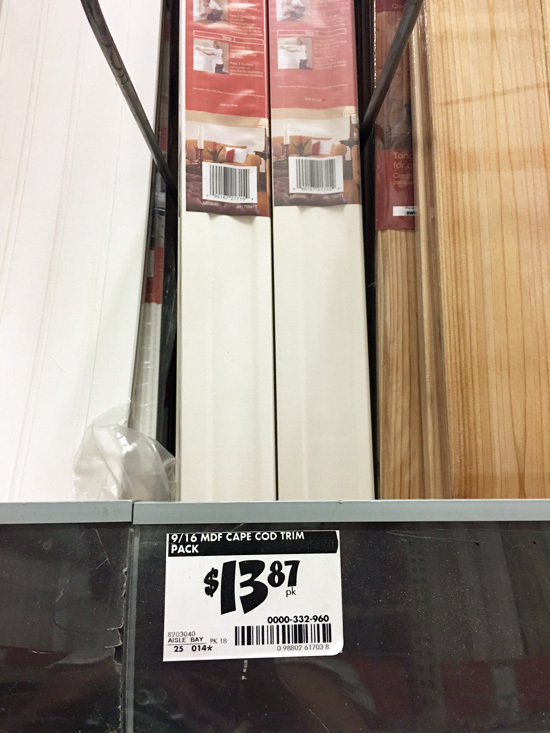 HOWEVER these are 8′ long and I cut them in half, so for wainscoting at 48″ in height, each package covers a wall section 42″ wide. This included 8′ of base molding and chair rail, but I only used the chair rail. It is not necessary for inside corners. 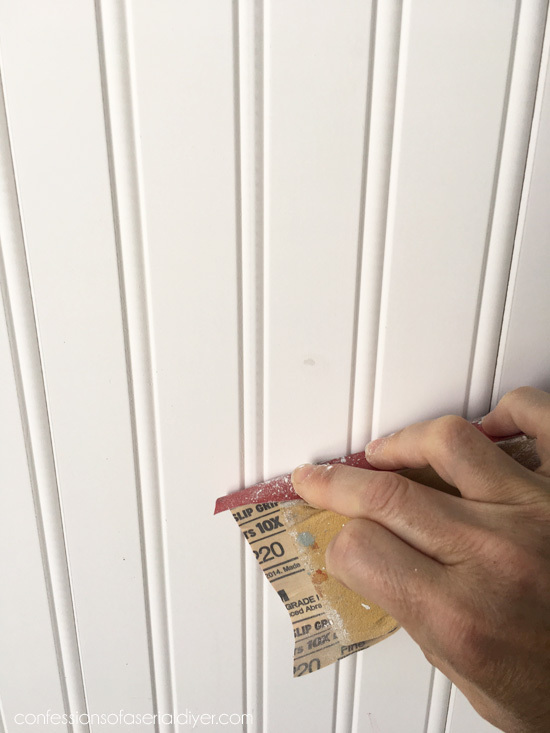 You will need to allow your wainscoting to acclimate in the space in which you plan to install it for at least 72 hours before hanging it. Follow the manufacturer’s instructions for full details. 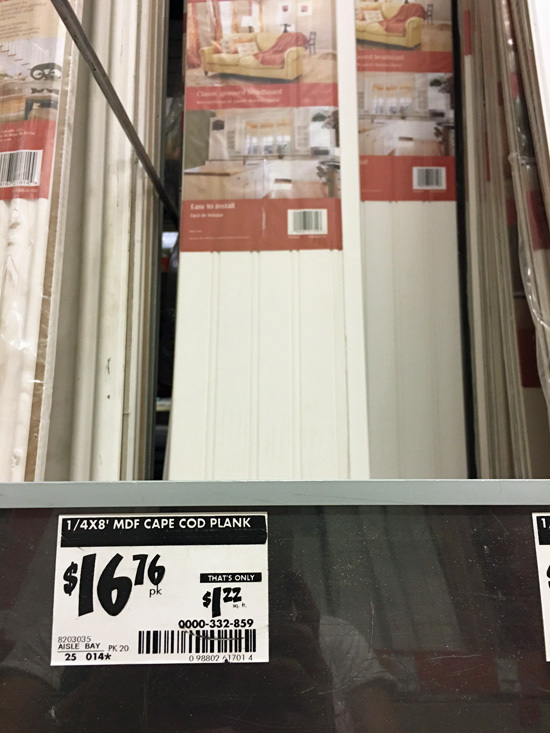 If you are interested in a more traditional height, Home Depot also sells this product in a 32″ height HERE. 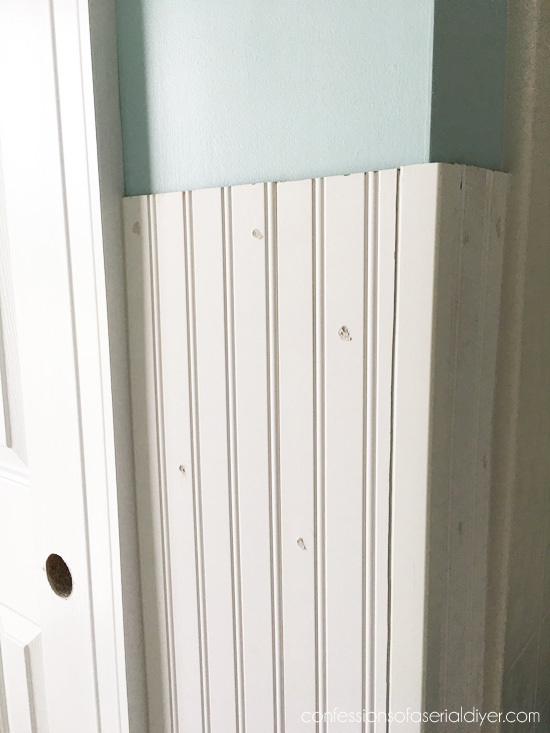 I decided on a height of 48″ because I like the look of taller wainscoting. Once my planks were fully acclimated, I cut them in half lengthwise using my sliding miter saw. Then I started installing the wainscoting. I added each 7″ panel one at a time, left to right, adding Liquid Nails to the back of each panel, and then following up with my nailgun. It is a tongue and groove application, so each 7″ piece slides into the adjoining piece. I found this easiest to do by getting the bottom left corner into the groove of the adjoining piece and then sliding it down into place so that there was a nice snug fit with no gaps. When you get close to the corner, you should be able to slide those pieces down from the top. A small hammer to help may be needed to help them along. You can see where the pieces connect to one another in the photo above, but those obvious joints disappeared with paint. **Note also that I kept my original base molding in place and just installed this above it. I just used my tape measure to measure out where to make my cuts. I didn’t do so hot on the first try, second time was a winner! You my need longer screws to secure them back into place. I had some in the garage that worked. I had to cut the wainscoting to make room for it. You can also see in the above photo that I chose to cut the wainscoting that goes between the two corners so that the lines were centered. And you can see those outside corner trim pieces keep those corners looking perfect. I made my way around the rest of the bathroom. THIS TOOL is the best thing I’ve found for removing the excess caulk. It leaves the perfect amount behind every time. 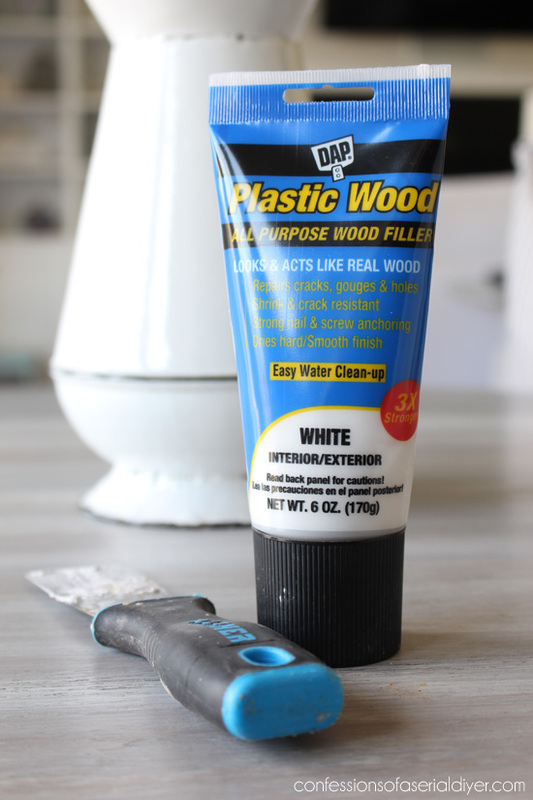 SO much better and more effective than your wet finger! Just be sure to wipe off the excess caulk onto a paper towel after each pass. Keep a whole roll of paper towel and a trash bag at the ready. I loved seeing all those lines disappear! 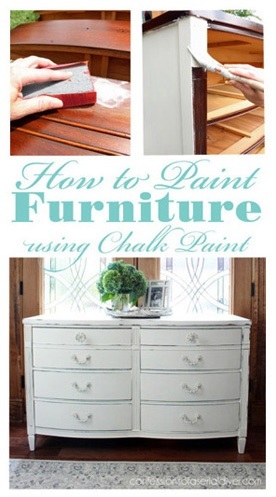 I used a brush to apply the paint, but you could use a foam roller also. I felt like the brush put the paint in the grooves more easily. Finally it was time for chair rail molding. I bought the trim kit that included both the base molding and the chair rail, but I only used the chair rail. I was unable to find chair rail molding for wainscoting by itself. You might have better luck. **I painted all of my chair rail pieces prior to making any cuts. Just don’t lay your trim pieces flat to cut the mitered pieces, stand them up against the back of the saw (or miter box), and move your miter saw from side to side as needed to make your cuts. I hope that makes sense without a visual! I attached them with Liquid Nails and my nailgun, then I filled in the holes with wood filler. A quick paint touch up and I was done! 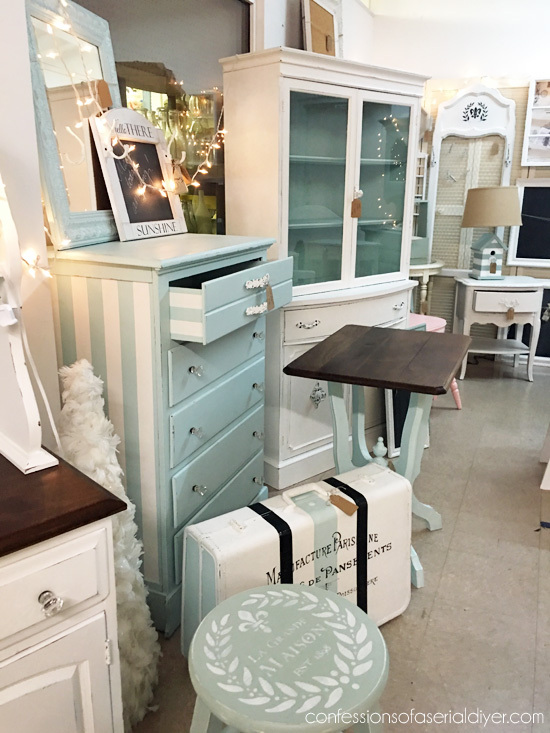 The chair rail is definitely the icing on the cake! 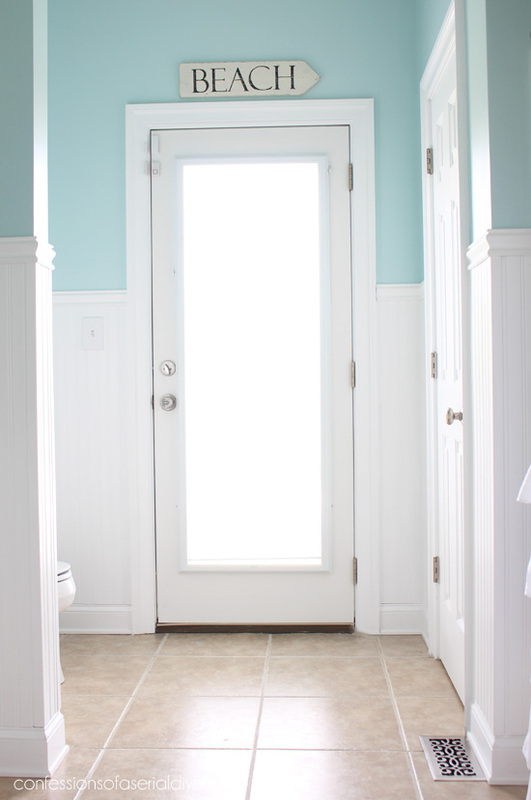 This project took me just a few days from start to finish, and I just love the charm that wainscoting added to this space! 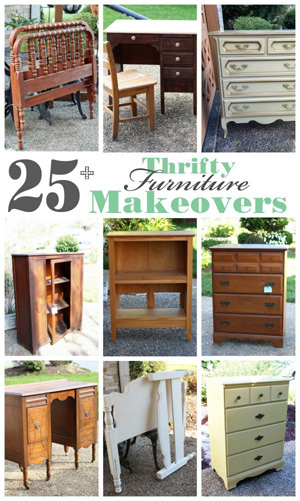 The hardest part was cutting around the vanity, but once I got those cuts, the rest was easy. 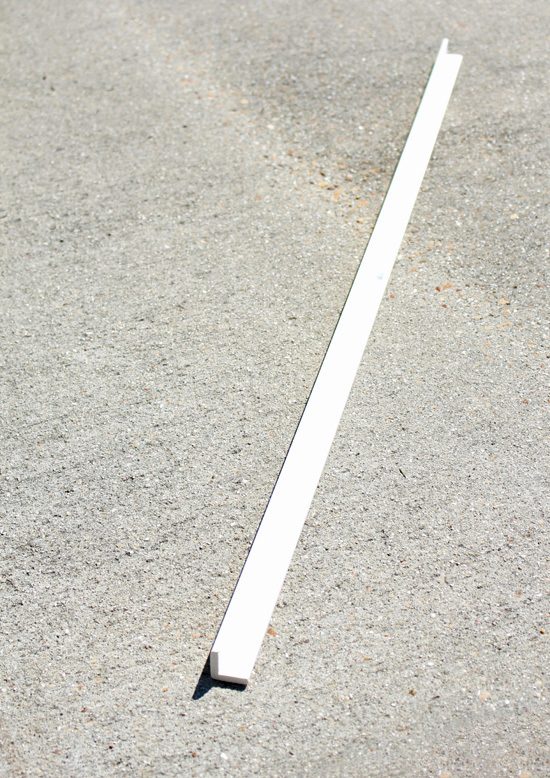 If you decide to install a shorter height, you won’t have to deal with that issue at all. I hope you found this tutorial helpful. If you have any questions at all, feel free to ask away in the comments! 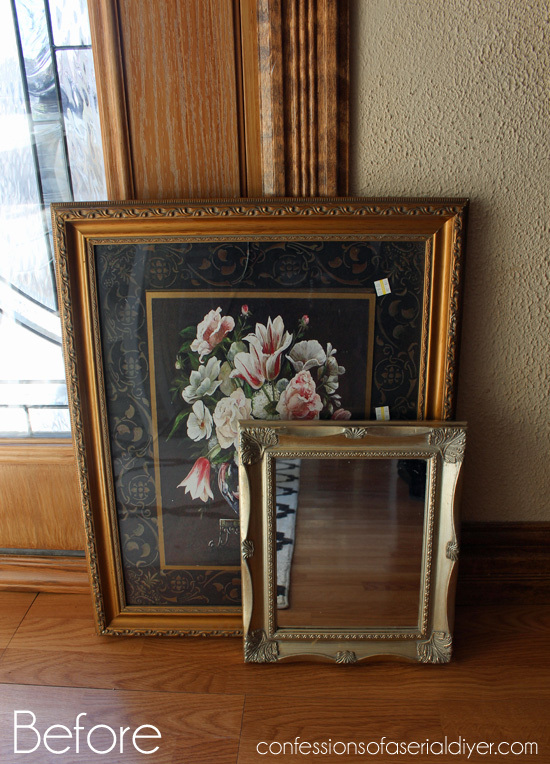 UPDATE: See how I married these two pieces to make one pretty décor piece HERE. Thanks for the tutorial. You make every thing look so easy. Not sure I have any where to do this in my home, but I love the look and I have it saved if I decide to do it I will have it. 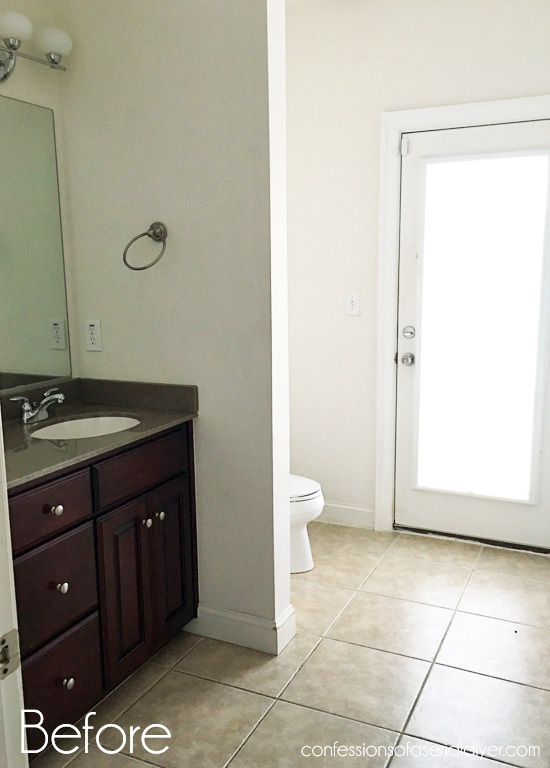 Your bathroom turned out amazing. Thank you for the great tutorial! 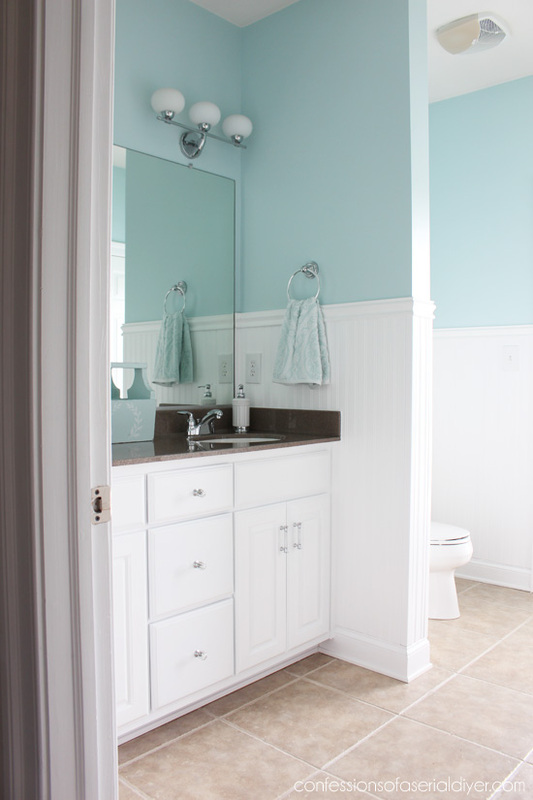 Your bathroom looks so fresh and bright. I have the same shower curtain and rings! 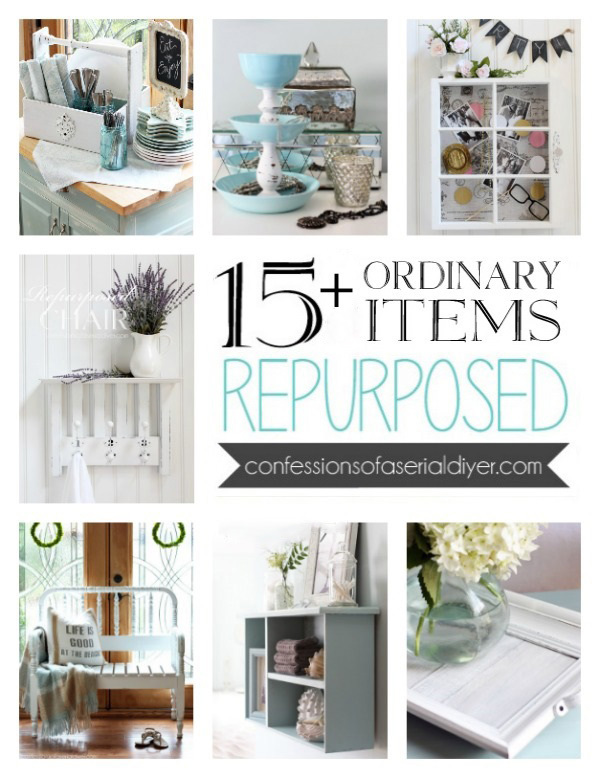 (Wayfair) ! 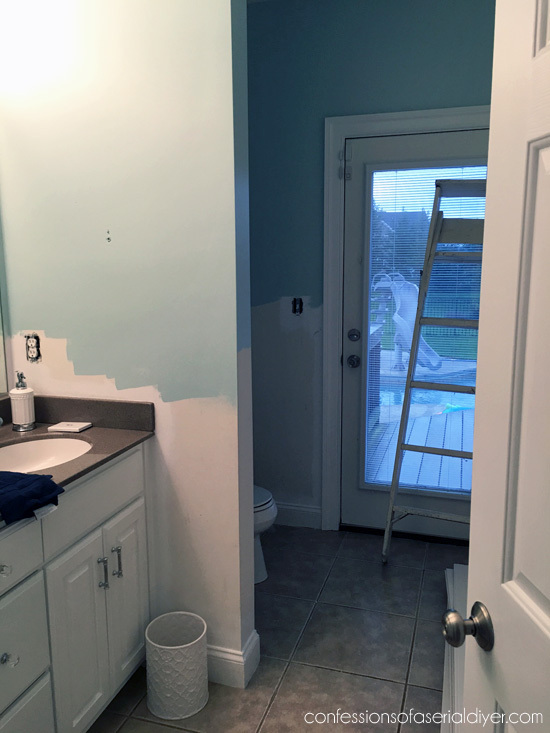 Your bathroom turned out great, it looks very nice. 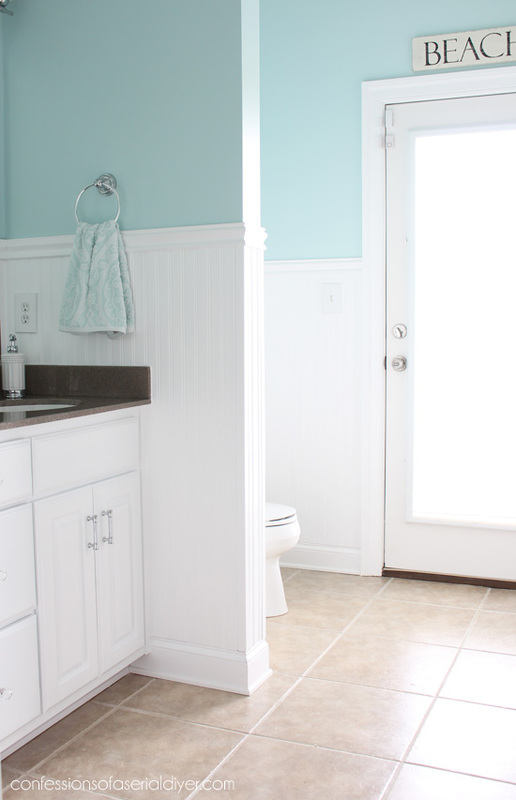 I plan to do this in one bathroom as well, your tips and tutorial are very helpful, thanks! I love the look of the taller wainscot. This bathroom is divine! I think I need to invest a few bucks in the caulk tool – the wet finger didn’t work so well the last time I used it. As always, thanks for the inspiration! Awesome tutorial!! Thank you for doing this! Thank you for posting the tutorial. I not only admire your creative talents, but also your ability to get er done. You have so much going on and you sat down and put this tutorial together for us. You truly amaze me!! Thank you Christy for the detailed instruction. I know I can do this! 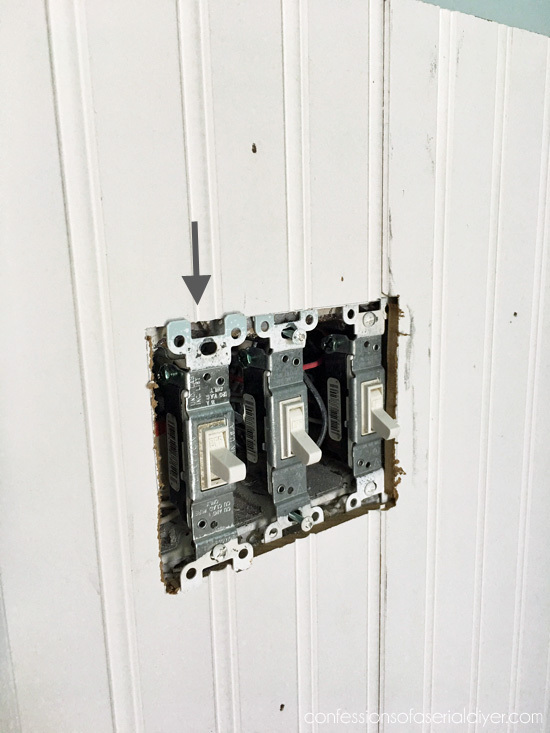 One question about the metal plate doohickey covering the water line from the wall to the toilet – did you leave that off after installing the wainscot or did you put in longer screws to hold it in place? Sure do appreciate the time you spend writing all this out! My pleasure, Anita! My water line has a ring around it that rests against the wall to cover the hole that was cut in the drywall for it so it looks neat. I was able to slide that down the water line and away from the wall. 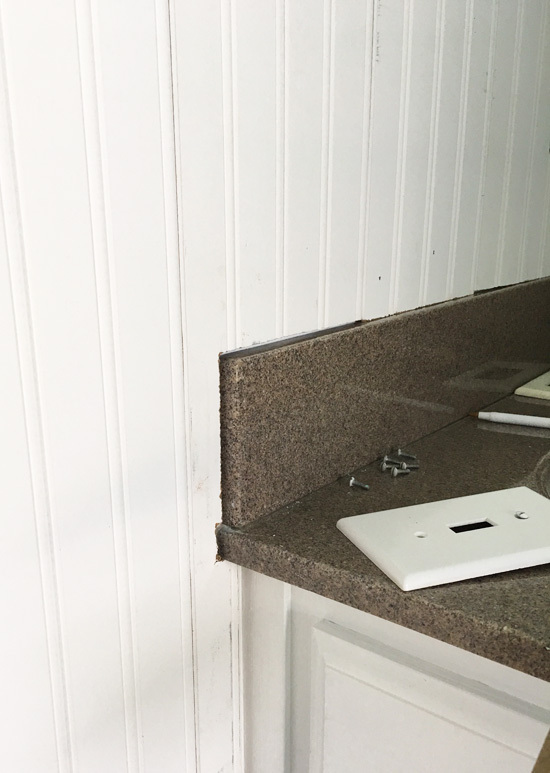 Then I cut a hole out of the wainscoting using a 1″ drill bit, and then cut a slit in the wainscoting below that hole large enough to get it over the water line. Then I used liquid nails to put that piece I cut out back and filled it in with wood filler to make it barely noticeable. I slid that ring back down the line and against the wall when I was done. I hope that makes sense!! I had requested this tute and have enjoyed it thoroughly (each time I have watched). 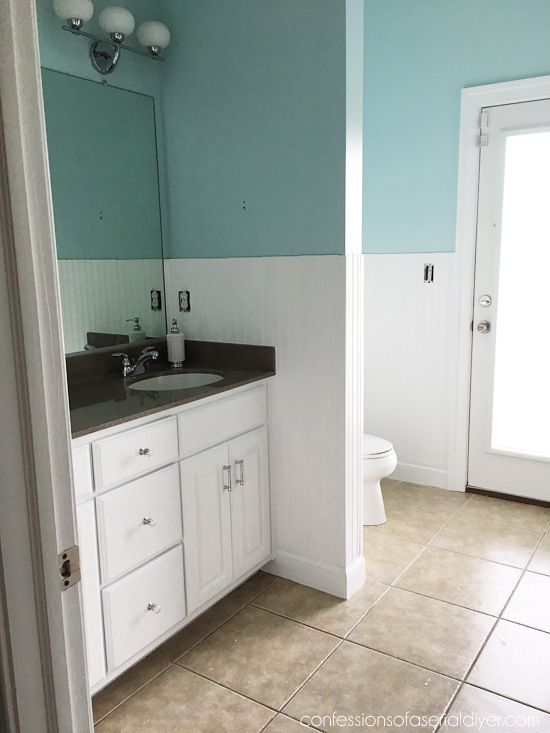 I would love to do this is a bathroom, and you make it look so easy, but I know it takes talent to pull it all together. It’s on my bucket list. Thank you for sharing. this turned out fantastic! 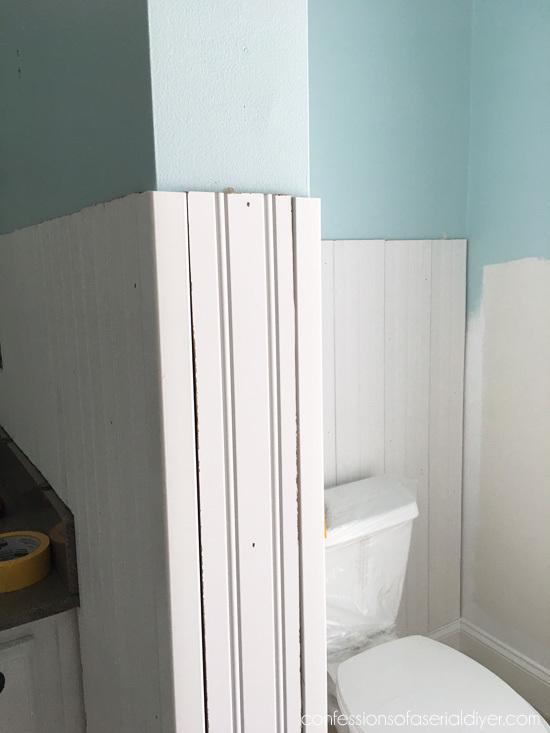 I woke up this morning thinking I should put board and batten or beadboard in my master bathroom and then saw this post this afternoon! I read every detail and feel I learned so much. Thanks. I had wainscoting put in my kitchen/ dining area and love it. Would like to do it in more rooms. 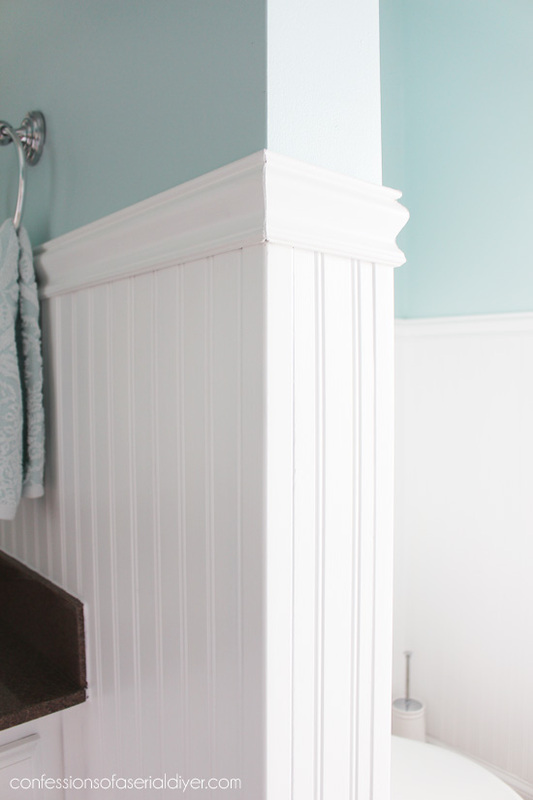 A great tutorial on installing wainscoting but what happens when you decide you want a different look and have to take it down? It seems the use of liquid nails would greatly impede your ability to remove it (without doing major damage to the wallboard). 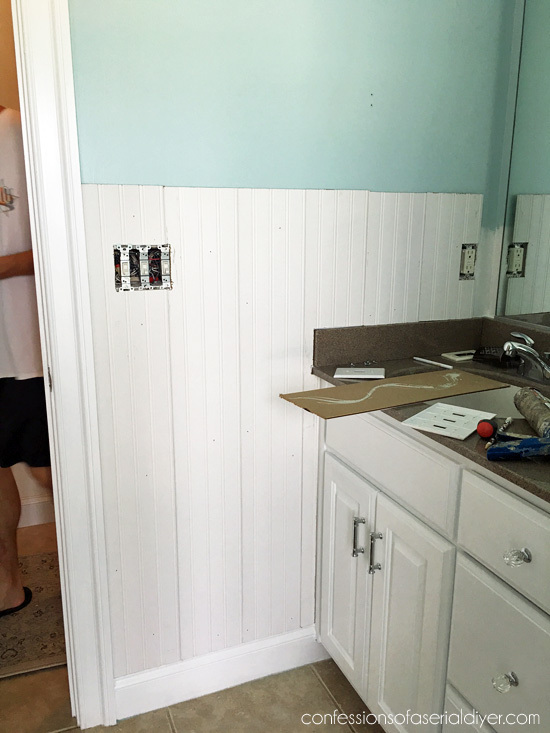 Can you just nail the wainscoting in place? Seems it would be easier to patch nail holes rather than dealing with the aftermath of glue. But the room looks fabulous! On a side note… Where did you get a shower curtain that comes to the floor? I really like that one you have up.